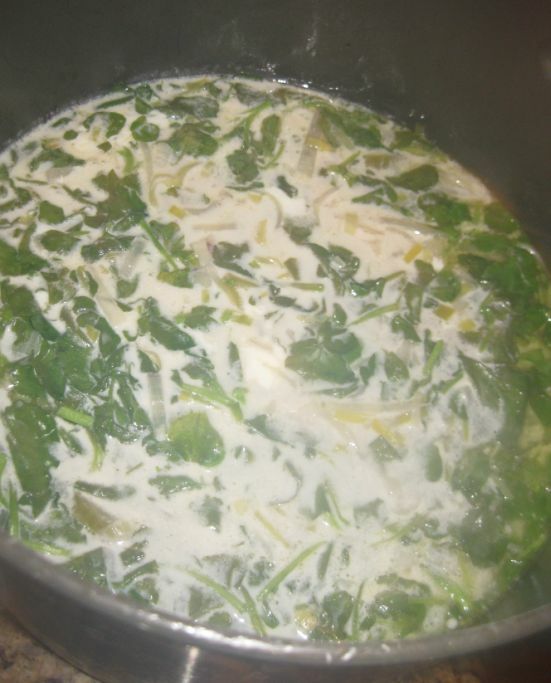 The origin of this soup is not really known but people claims that it was first made by the chef of Maxim's in Paris and it was served for the first time at a farewell party for an American tycoon named William B. (Billy B.) and the name of the dish derives from "Billy, Bye-Bye"
Billy Bi extracts the essence of the mussels best flavor for the broth, which is based on aromatic vegetable, crème fraîche, and white wine. 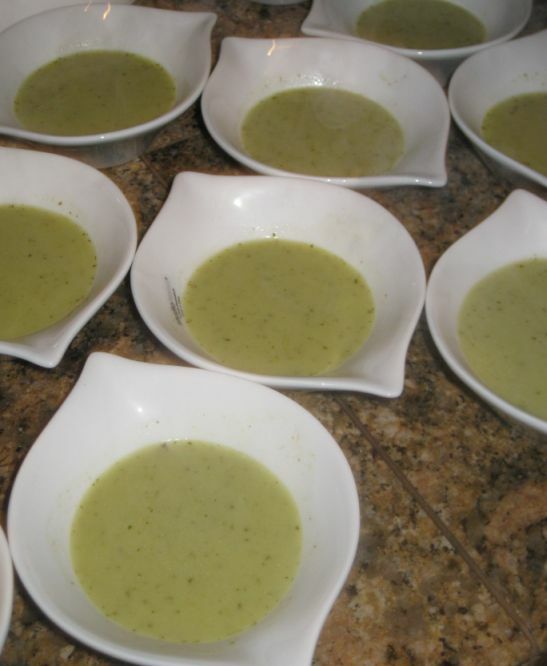 The Traditional Billi-bi does not have watercress (cresson in French) and I wanted to play with the soup more by adding watercress for a more peppery taste. 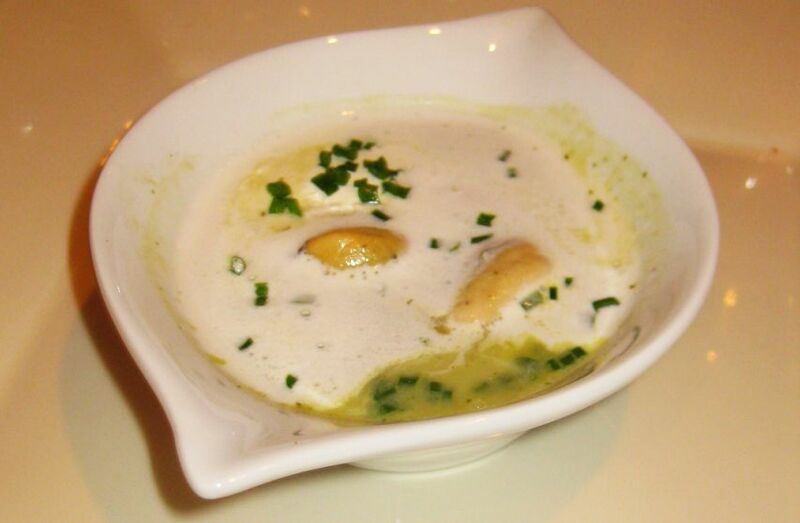 The soup is actually really good and the flavor of the mussels really shine trough. 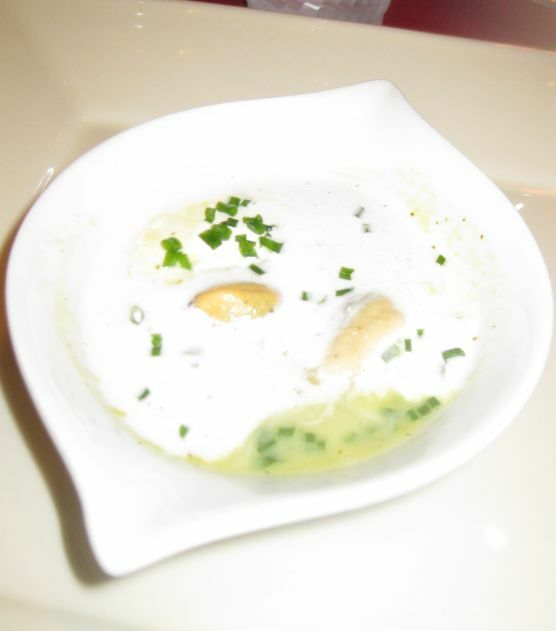 The soup is garnish with mussels and a cloud of whipped cream. 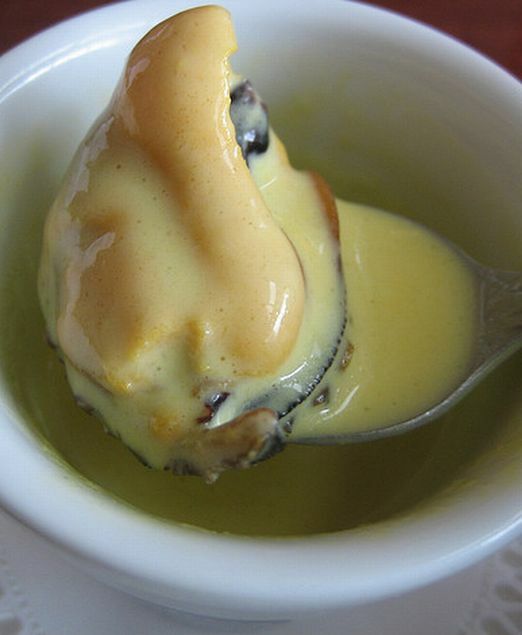 The cream adds just the right amount of richness! 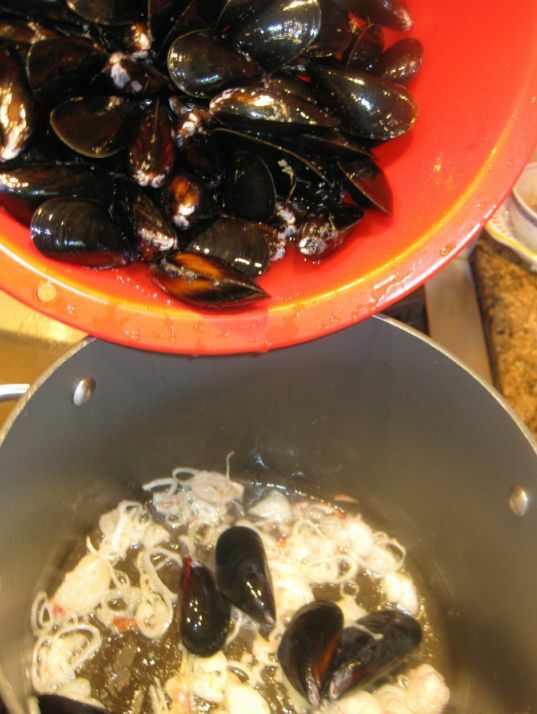 Filling up my bowls with soup and mussels... Before serving the soup, a small scoop of whipped cream will be added. The whipped cream is melting once it is touching the hot surface of the soup... So good! 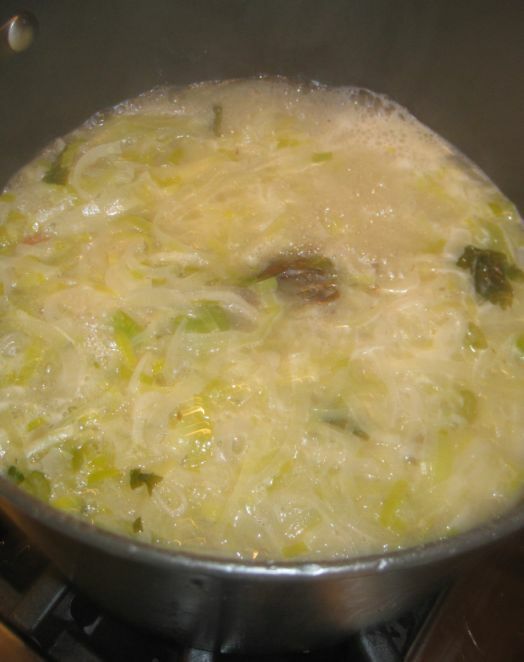 Close look at the soup. I was lucky to get really plum mussels for this soup! 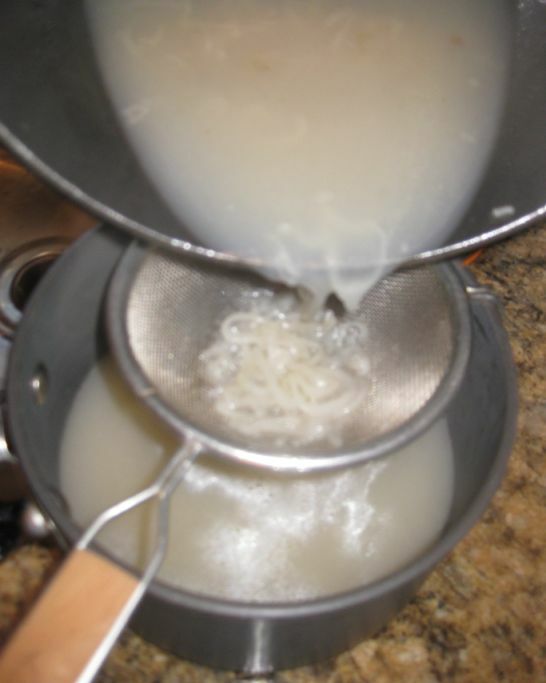 Melt 1 tablespoon of the butter in a large pot over medium heat. 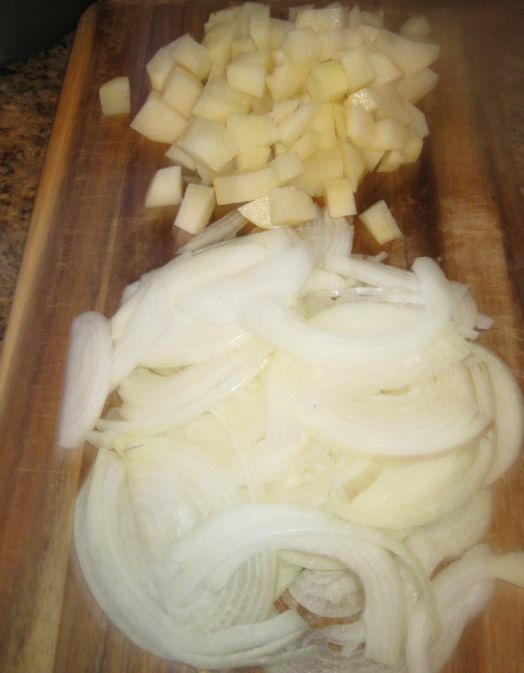 Add the shallots and cook, stirring, just until they turn translucent. About 5 minutes. 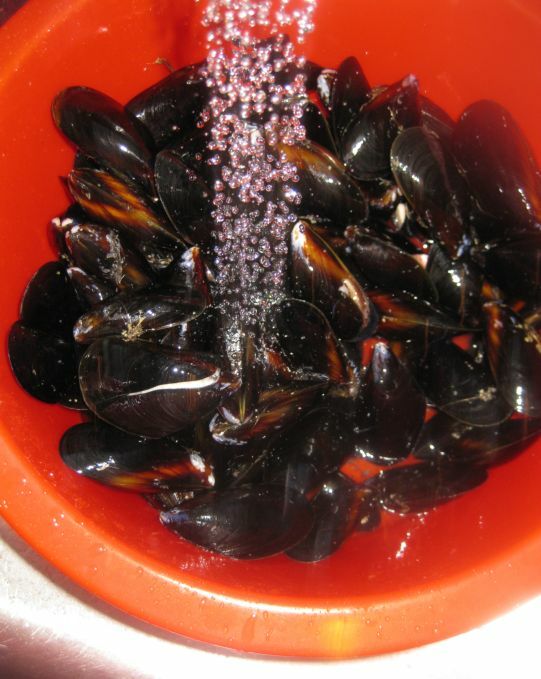 Rinse and scrub the mussels. Add the mussels in the pot and turn the heat to high. Pour the white wine, season with a little pepper. 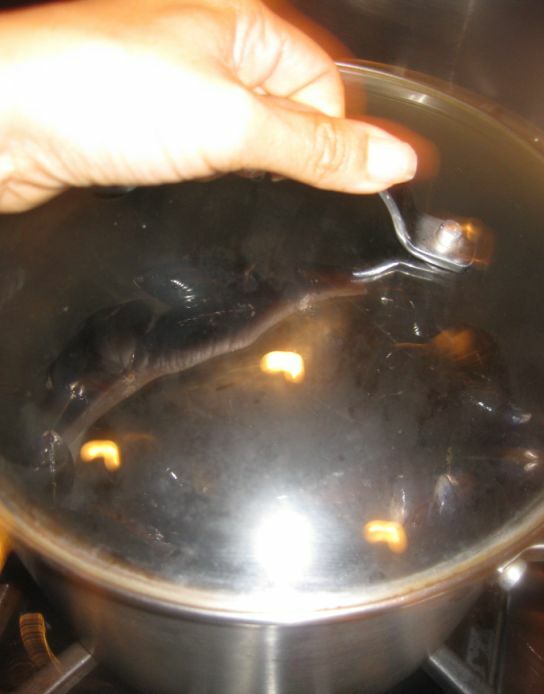 Put the lid on the pot, and cook just until the mussels open. About 3 to 4 minutes. 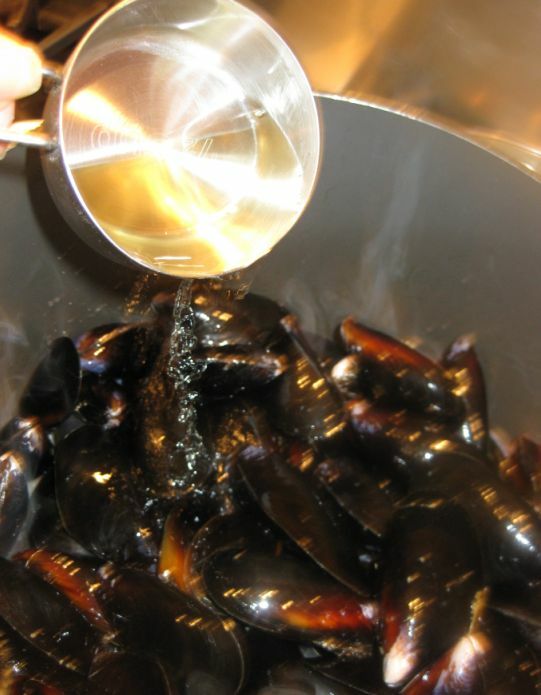 While the mussels are cooking give the pot a few shakes to move the mussels around or stir the mussels a couple of times with a slotted spoon to help them cook evenly. 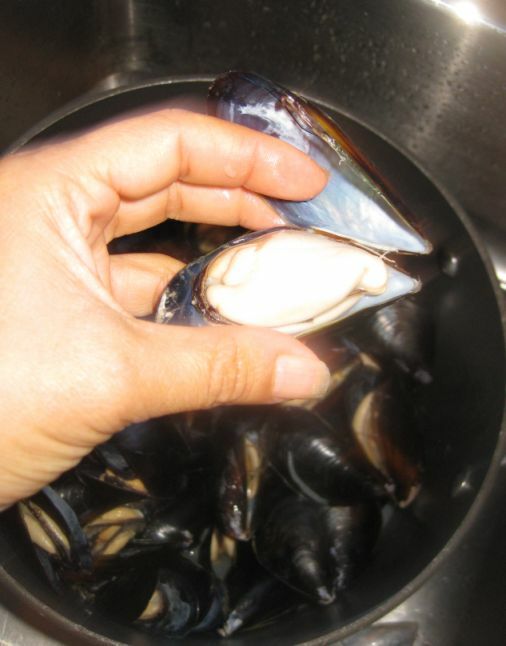 remove the meat from the shells and pull off and discard any black fibers attached to the mussels. 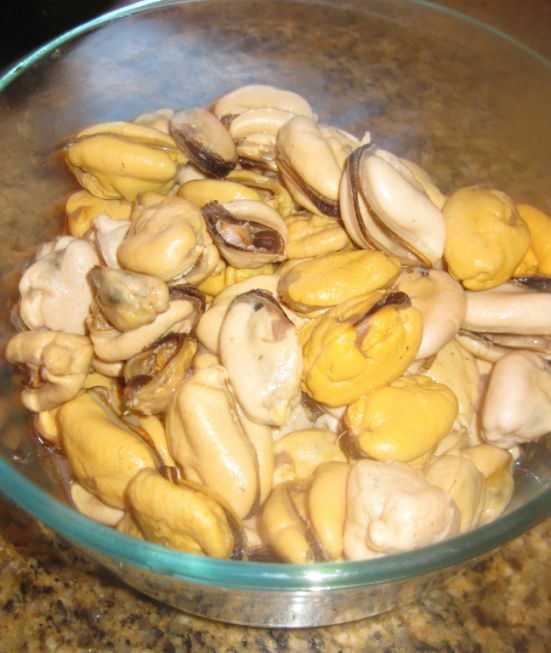 Set the mussels aside, covered and discard the shells. Save the broth separately. 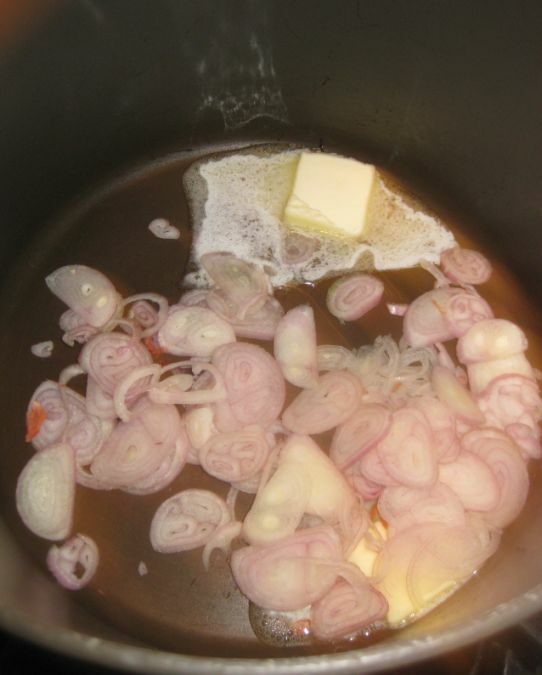 Pour the broth in a smaller pot and throw away the shallots. 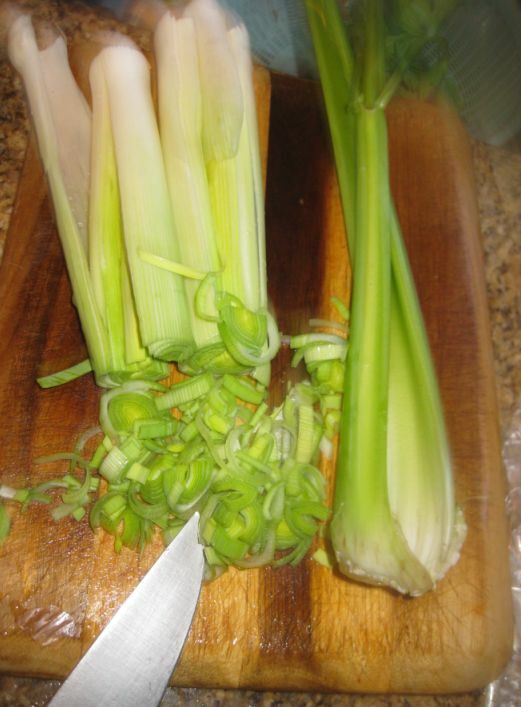 Slice the celery and leek. 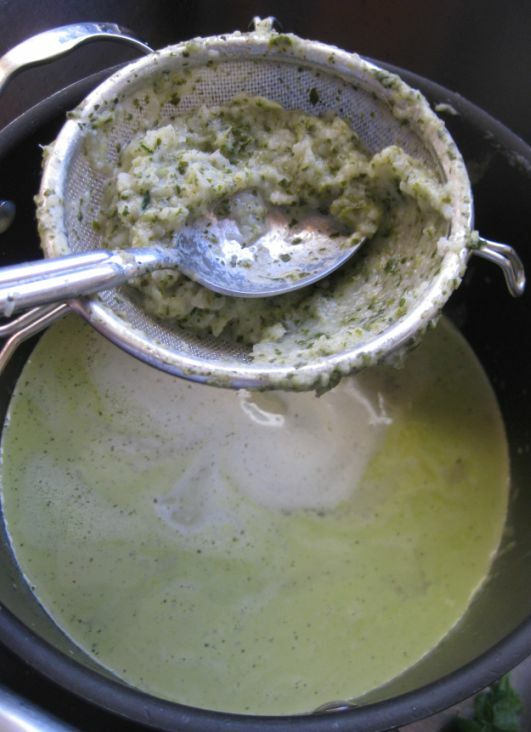 Drop the remaining tablespoon butter and melt it over medium heat. 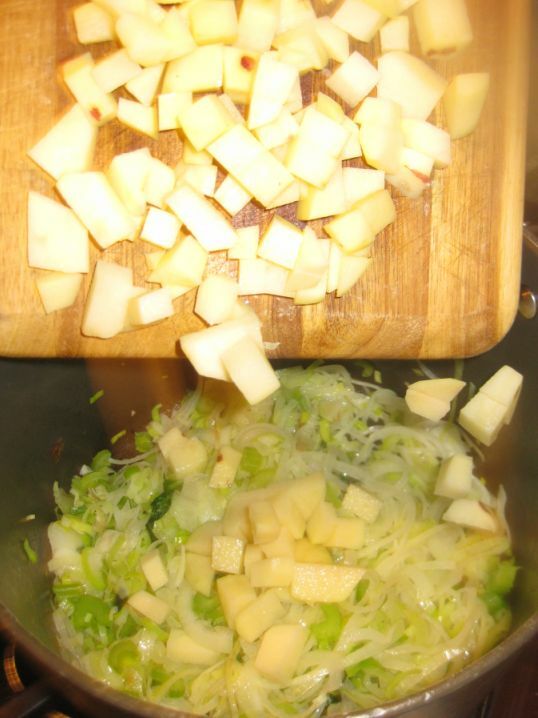 Add the onion, leek, and celery and cook. 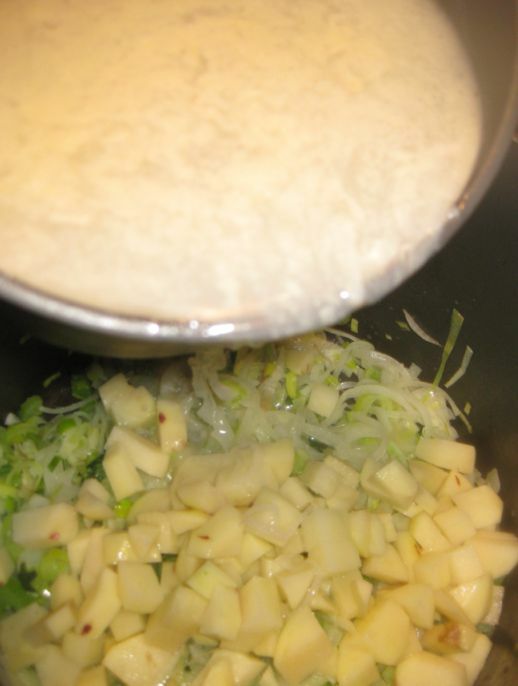 Stirring until the vegetables are tender but not colored. Cook for about 5 minutes or so. Add the potatoes in the pot. Pour the reserved broth into the pot. 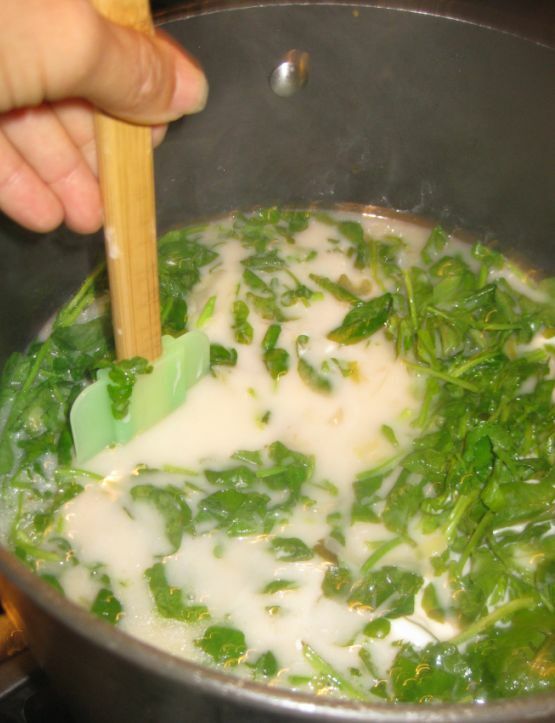 Add the chicken broth and the bouquet garni and bring to a boil. Lower the heat and simmer for about 20 minutes and at this point the potatoes should be well cooked through. 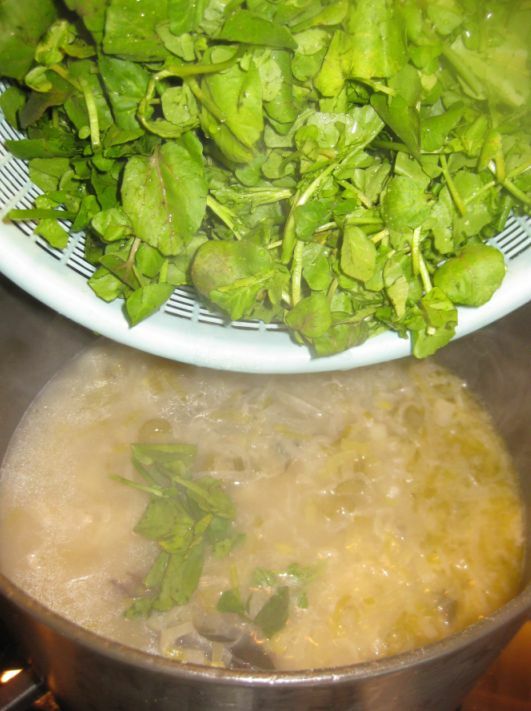 Turn off the heat and add the watercress. 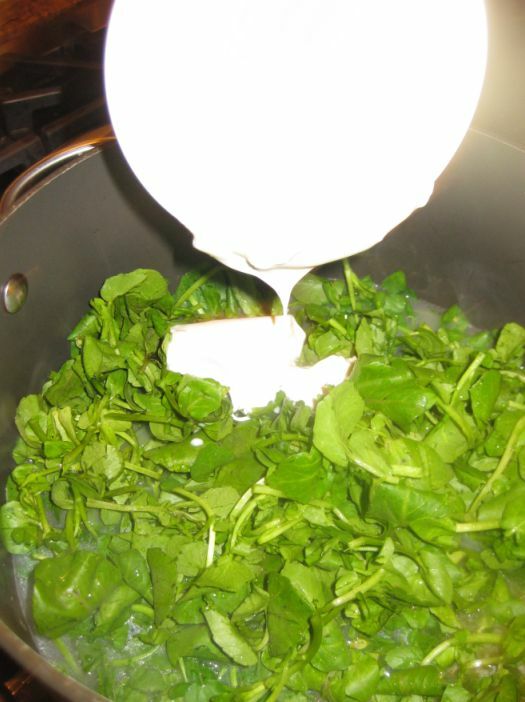 Then add the crème fraîche. Stir the pot and remove the pot from the heat. 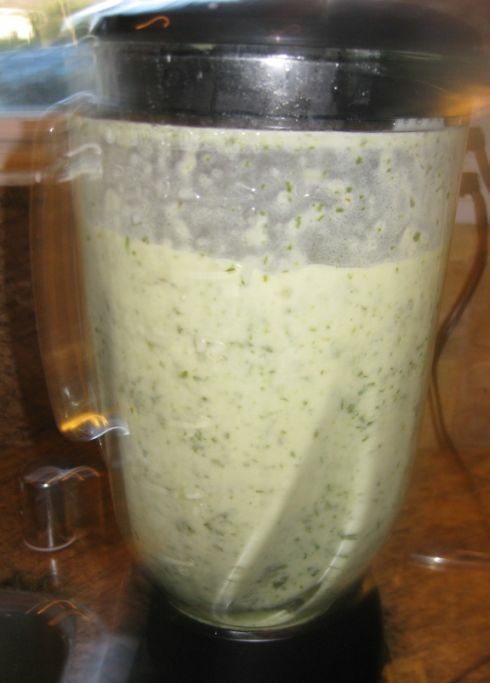 Let the watercress soften, about 3 minutes then carefully transfer the soup to a blender. 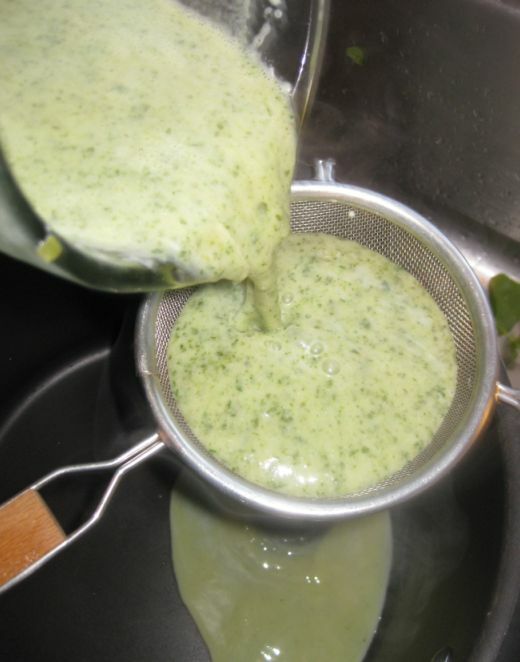 Pour the puree soup into a sieve. Press down the sieve with a spoon to get all the liquid out. 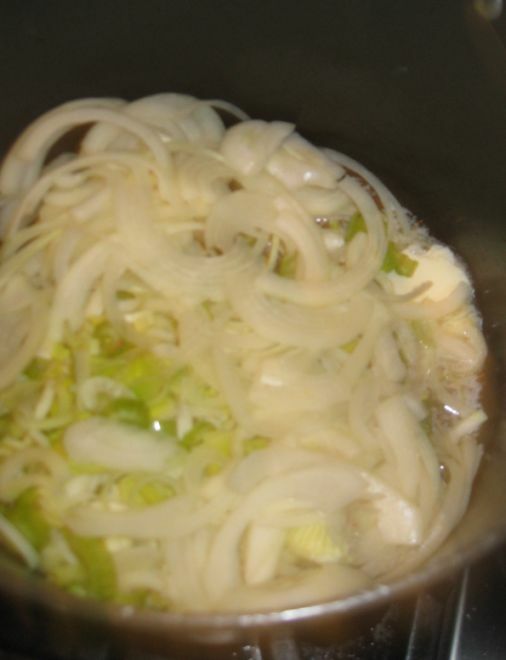 Reheat the soup when ready to serve. Spooning the soup into bowls. 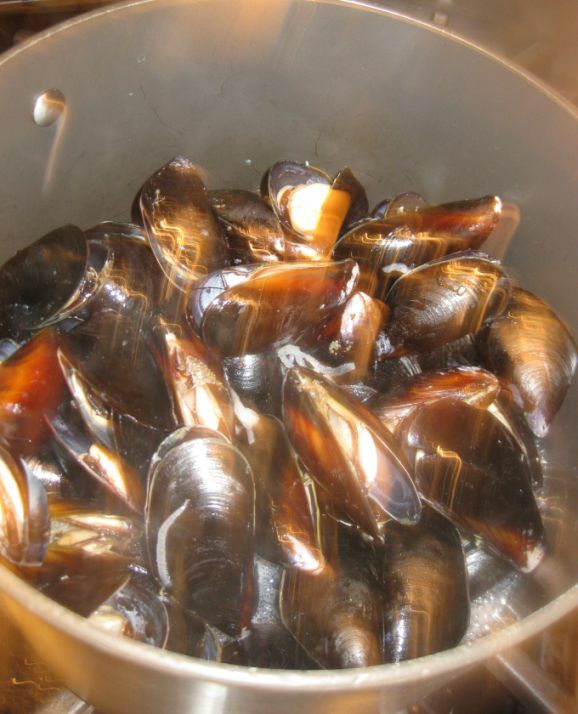 Reheat the mussels by warming gently in a small pan with a bit of butter and add them to the soup. 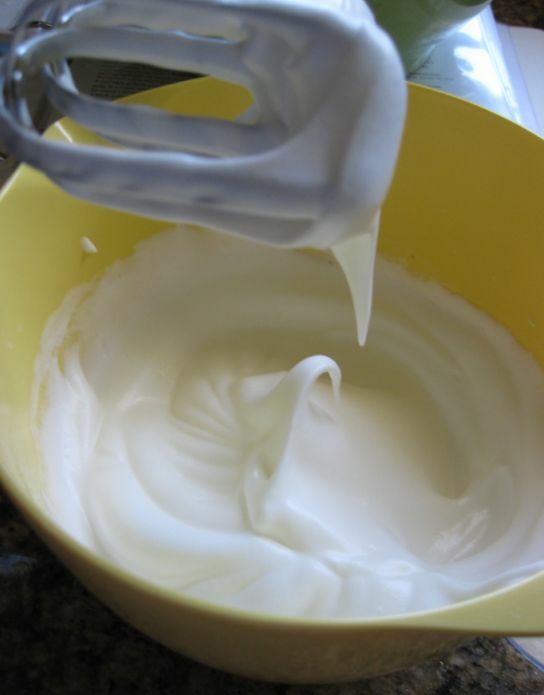 Whip the heavy cream until it hold firm peaks, then season it with salt and pepper and the curry powder.